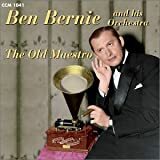 Ben Bernie was a popular bandleader in the ‘20s-‘30s and even into the ‘40s although he never picked up on the “swing” craze. He started out in vaudeville but enjoyed greater success as a personable bandleader and the host of his own radio show from 1933 to 1937, amusing audiences with his trademark lingo and his opening, “Yowsah, Yowsah.” His band appeared in several films, the best of which, Wake Up and Live, featured the song, “There’s a Lull in My Life.” He and columnist Walter Winchell carried on a “feud” both on radio and in film but in real life were good friends. Dinah Shore sang off and on with his band before she joined Eddie Cantor who was credited with her discovery. The most notable of his compositions is “Sweet Georgia Brown” (1925) on which he collaborated with Maceo Pinkard and Ken Casey. Yehudi Menuhin & Stephane Grappelli Includes "Sweet Georgia Brown"